RainyDayMagazine was in Los Angeles in February for a break from the New England weather. While we now know that March was when we should have gone, being out there a month early did not make the experience any less enjoyable. 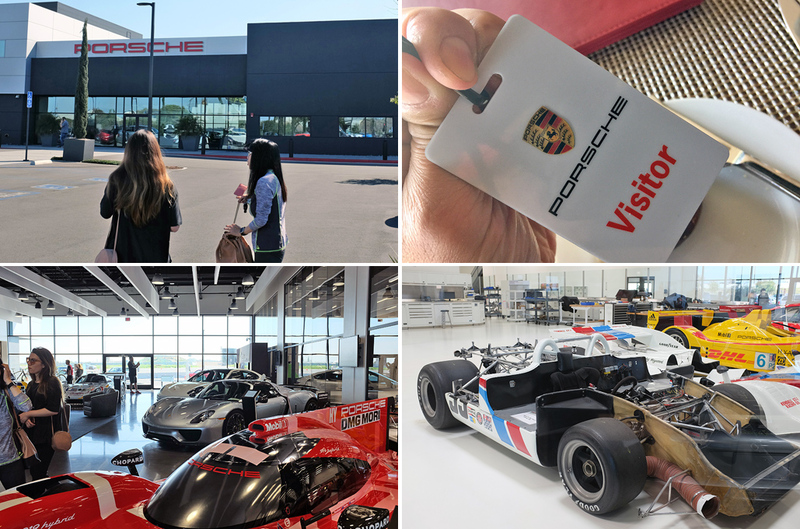 One of the reasons for that was we managed to carve out a morning to spend time at the Porsche Experience Center in Carson, CA. 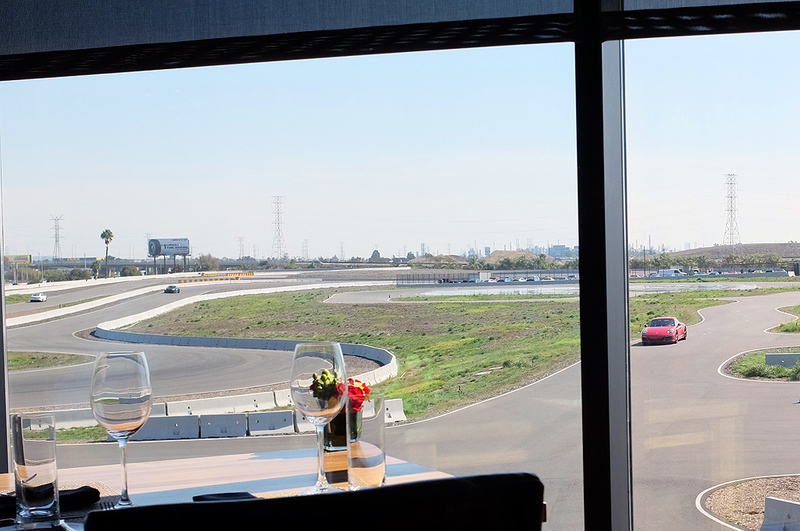 The PEC is a purpose-built destination designed around having the experience of driving one of the world’s most exciting sports cars. 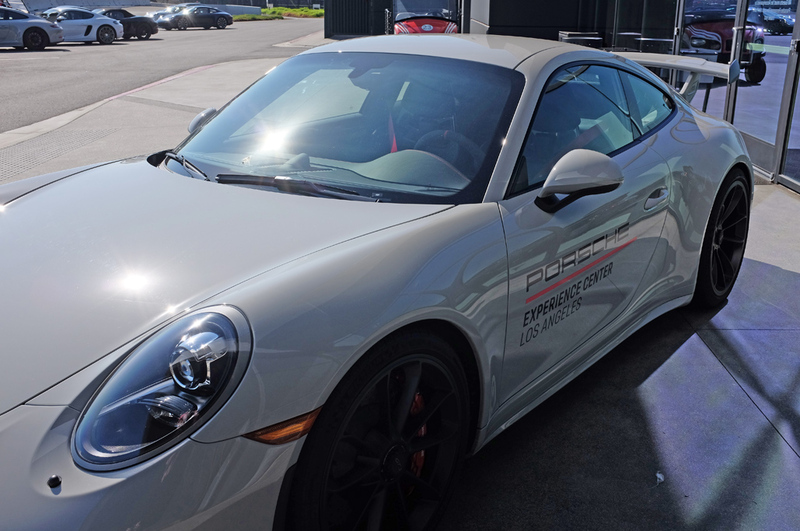 We know—we have been driving a Porsche for over 18 years and everything they say about driving one is true! The 53-acre facility has an atrium, a gift shop, a cafe, a restaurant, and a bunch of spaces suitable for events, conferences, and the like. 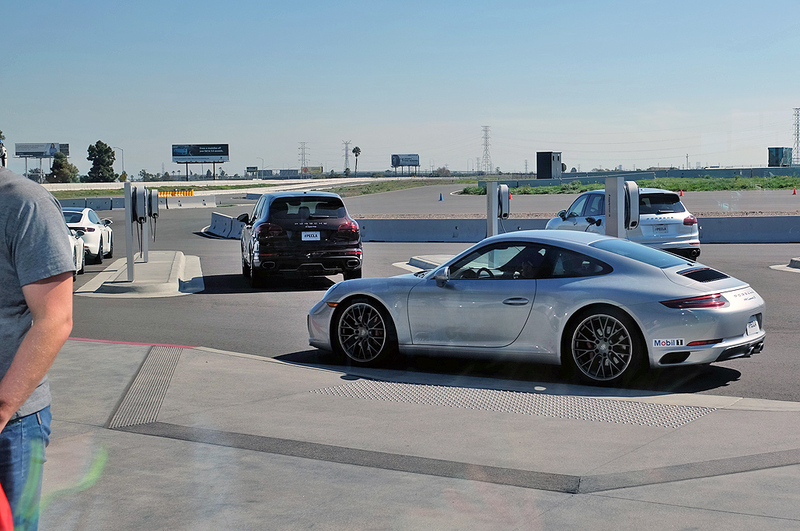 It’s like a Porsche showroom that you can rent for parties, gatherings, and special occasions. 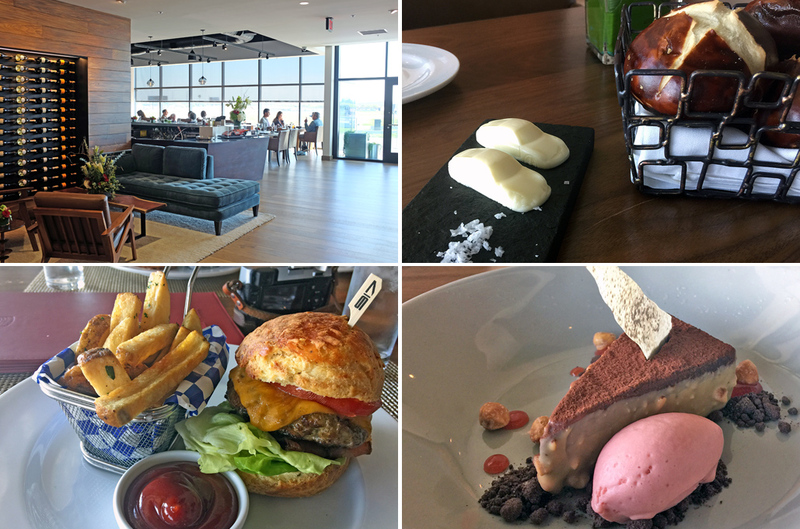 An interesting leverage of the Porsche brand..
Driving—or even just looking at—these automobiles can make a person hungry, and the PEC did not disappoint. Restaurant 917 is located = on the 2nd floor. 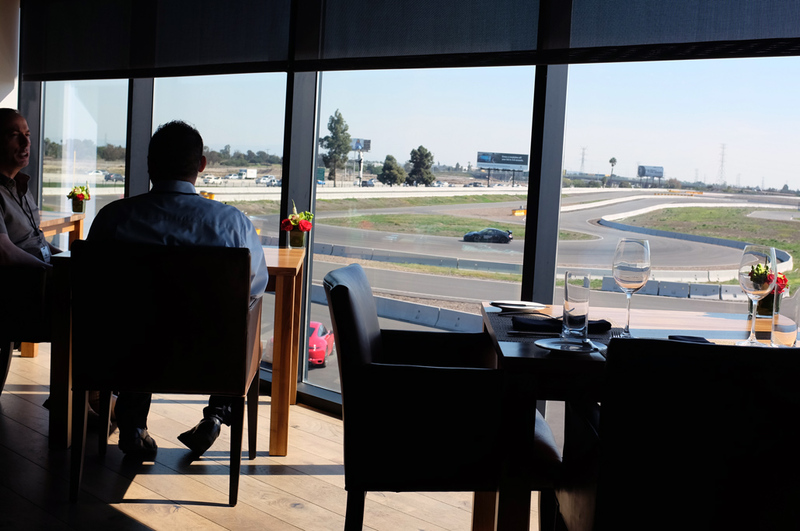 This fine dining facility offers an amazing view of the 3.2 mile track as well as some REALLY delicious tasty bits,and yes, butter spreads in the shape of a 911. NOTE: The 917 is the legendary racecar which gave Porsche its first overall wins in the grueling 24 of Le Mans (the world’s oldest active sports car race in endurance racing) in 1970 and 1971. Handling Circuit: Designed to mimic the undulation and corners of a back country road to learn seeing the correct line and proper braking techniques. Kick Plate: Flush-mounted hydraulically activated plates which moves randomly to send the car into a slide to teach recovery handling skills. Low-Friction Handling Course: Polished concrete surface with multiple curves for experiencing under/oversteering and recovery. Off-Road Course: A ravine with timber obstacles and a 40º vertical drop to understand Porsche SUVs off-road capabilities. 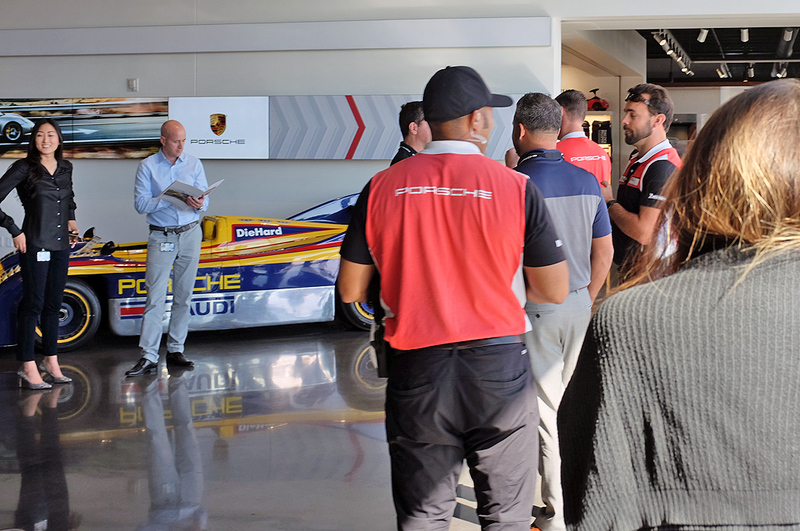 Acceleration Straight: Go for it on a 1 miles straight onto a 33% banked curve to really understand what “pedal to the metal” feels like in a Porsche. Each terrain is designed to showcase and challenge all of the vehicles offered by Porsche. 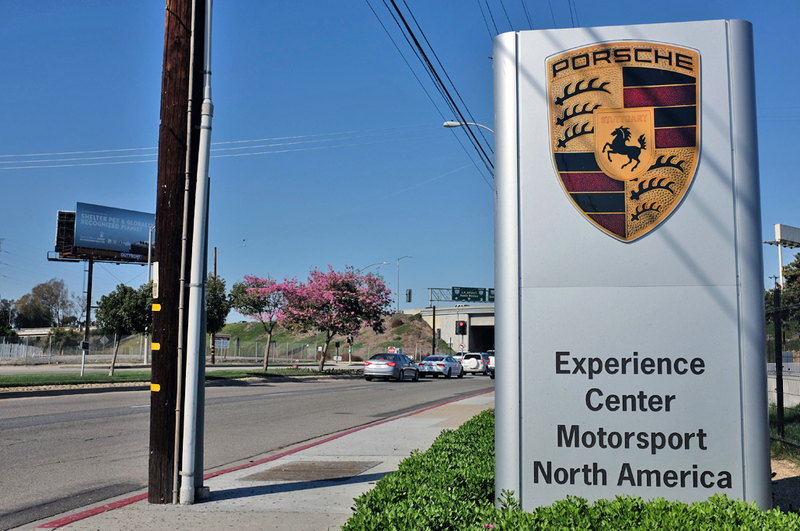 On the day we visited, we saw a large collection of Porsches in the lot all prepped for action. We didn’t book a drive this time around, but that will certainly be on our list the next time we are in LA!!! 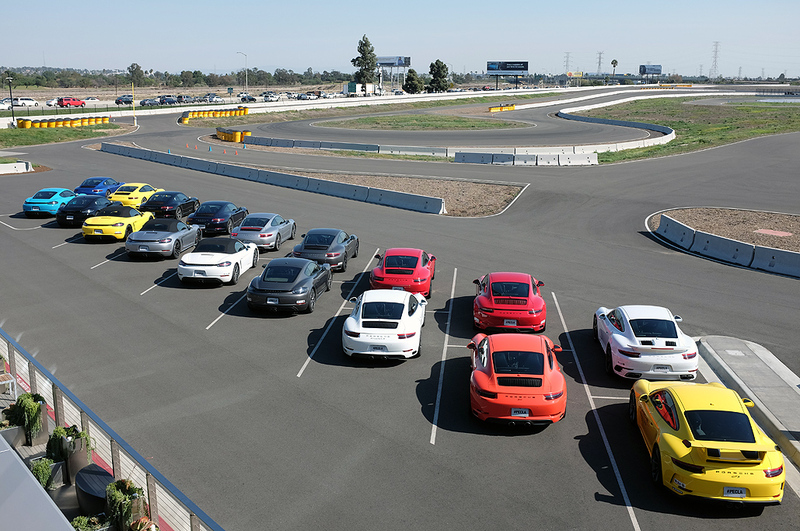 A group was just getting ready to head out onto the track as we were wrapping up our visit. These folks were going to be driven around the track by the pros on a “hot lap” instead of driving the cars themselves!!! It is a way to REALLY experience the potential of the cars even if one has not developed the skills to push one to its limits. Hmmm… we can get certainly behind that!